Today’s modern workplace is home to users who carry their work and personal lives in their pockets. From smartphones to tablets, mobile devices keep us connected and always working. Users can work from anywhere, but that means opening the door to security threats if mobile devices aren’t properly protected. Mobile Device Management is service that help provide that protection. Mobile security risks are real, and they are expanding every day. Public Wi-Fi networks open the door to hackers who can take advantage of security holes and access confidential company information stored on mobile devices. If a mobile device becomes infected with malware, the malware could spread through the entire network. The portability of mobile devices means a greater risk for loss and theft. When unprotected devices disappear, they put access to sensitive business information in unauthorized hands. No business wants to worry about the repercussions of outside access to proprietary information. Just picture the headlines: CEO’s Lost iPhone Leads to Customer Data Breach. Mobile device management (MDM) solutions can help protect against the threats that are out there. Mobile Device Management helps you make sure critical information is protected no matter how your clients’ employees access it. MDM gives you the ability to enforce minimum security requirements on mobile devices that access your client networks, which helps protect against data compromise. Lost devices can be found with geo-location tracking. If they don’t turn up, the devices can be remotely wiped to protect data with a just a few mouse clicks. Security settings can be adapted to require passcodes, set a time before auto-lock, auto-wipe devices after a maximum number of failed login attempts, and more. The point is, MDM keeps your clients’ networks better protected. The extra layer of data security gives your clients peace of mind and helps you maintain your role as a trusted advisor. With that in mind, what do you need to look for in an MDM solution? If you really want to get the most from your MDM solution, look for one that’s going to work easily with your existing solutions. Integration with your remote monitoring and management (RMM) platform and other automation solutions will save you time in setup and implementation, and will enable your technicians to manage mobile devices through the same interface through which they’re already managing your clients’ computers. In short, the right MDM solution means you’ll be better able to protect vital data from mobile security risks while keeping your clients’ users connected to the information they need to do their jobs. Now you know what MDM can do to keep your clients safe from mobile threats. Check back next week for tips to help you explain the benefits of Mobile Device Management to your clients and make the sale. 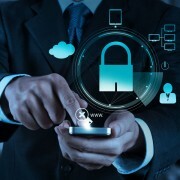 Information Security is a major priority in today’s mobile driven world. While devices like your phone are meant to be as accessible as possible, the contents are meant to remain private. Apple, a mobile industry leader, is always developing better solutions to keep your information safe. However, for every step Apple takes to keep up with new threats, their consumers are responsible for taking equal measures. The stakes have never been higher as the cost of securing your device also means potentially losing all device functionality! It was only a few years ago our devices were only locked away behind a simple 4-digit passcode. If the passcode were ever lost, one would simply need to wipe the device and set it up as new. While this was effective in protecting our data, it was not effective in protecting our devices themselves. Apple wanted to take security a step forward and dissuade mobile theft entirely. Apple began implementing an online activation lock. Now even if an iPad, iPhone, or Mac were wiped, they would continue to remain locked until the original owner signed in to their Apple account and unlocked the device. While Apple’s activation lock proved very successful in combating black-market resale of mobile devices, it also caused headaches for registered owners. Many users found that misplacing a password meant that their devices were held hostage by Apple. Businesses would need to maintain even tighter control over their inventory in order to prevent accidental lock-outs. This could mean overhauling their entire internal process, something that wouldn’t simply happen over-night. While Apple’s security policies did far more good than harm, some mistakes were bound to happen. Luckily there are a few things we can do to get our devices back under control! If your device is asking you to enter an Apple ID and Password for an account that you don’t recognize, you will need to contact Apple in order to verify ownership. Don’t fret! There is light at the end of the tunnel. Apple provides businesses with a few tools to manage and maintain their own devices, including the ability to control Activation Lock! By leveraging Apple’s Business Device Enrollment Program and Mac OSX Server software your business can have full control over its mobile devices. 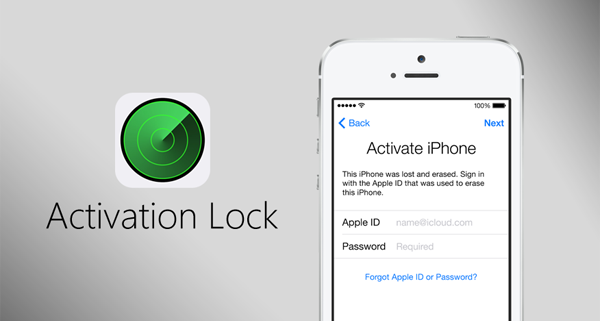 No need to call Apple to unlock your own phone again. Apple’s Business Device Enrollment Program (DEP) was designed to shift control of Apple’s mobile security to the business owners. This allows IT to maintain large environments with a single administrator, rather than having users responsible for their own devices. Once a device is enrolled, your business maintains complete control over the configurations, profiles, and security; no middle man. The best feature is allowing users to add personal accounts to the devices without interfering with the business configuration. Users can be given usage rights to a device, rather than becoming temporary owners. Mac OSX Server has mobile device management (MDM) tools built in that allow an administrator to make changes and tweak all devices owned by the business. Rather than making adjustments like adding WiFi hotspots or configuring email one device at a time, profiles can be implemented for individuals, divisions, or the entire company.